MAIDUGURI, Nigeria -- Four suicide bombers detonated in Nigeria's Borno state capital and killed 14 people, wounding another 29, police said Wednesday, in one of the largest such attacks in the city in years. The deafening blasts could be heard in the evening in Maiduguri, the home of the Boko Haram extremist insurgency. Police spokesman Victor Isukwu said the two male and two female bombers targeted crowded parts of Muna Gari suburb. The first explosion went off at a prayer ground, he said. Police said the four bombers also were killed. The 29 injured were rushed to local hospitals for treatment. While Nigeria's military has made progress in combating Boko Haram's deadly insurgency, the group continues to carry out suicide attacks in Maiduguri and elsewhere. The group often uses female or child bombers, some who had been abducted. 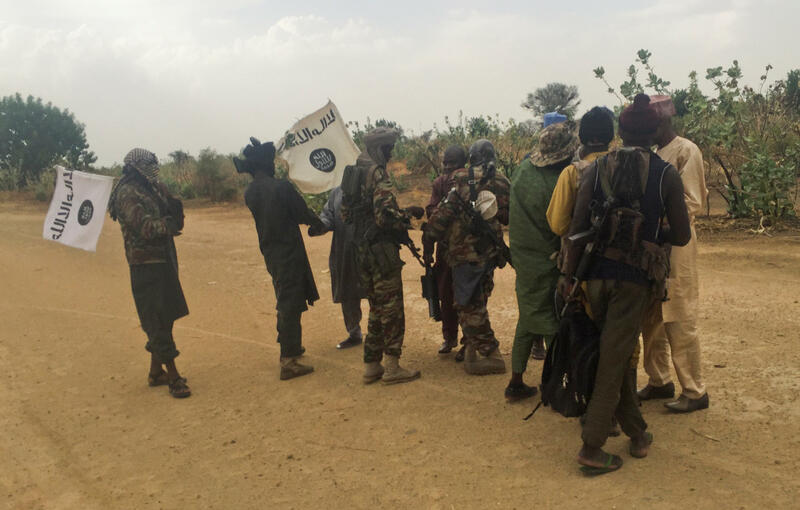 The extremist group has defied the government's claim made late last year that Boko Haram had been "crushed" after being flushed out of its strongholds. The insurgents continue to threaten parts of vast northern Nigeria and neighboring countries. Millions have been displaced in the nearly decade-old insurgency and more than 20,000 killed. The displacement has created a vast humanitarian crisis as hunger remains widespread. Isukwu said police teams were at the scene of Wednesday's blasts to ensure it was safe. "Normalcy has been restored to the community," he said.